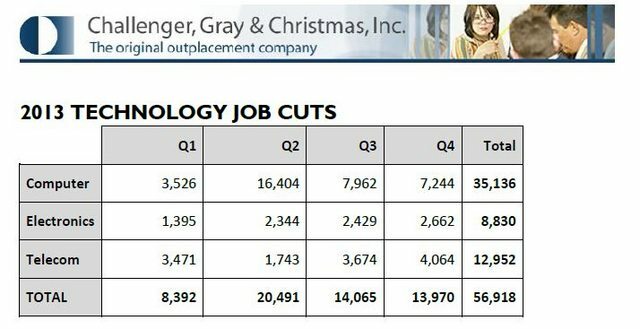 Job Cuts | Page 7 | Challenger, Gray & Christmas, Inc.
"And keeping pay and bonus percentages constant has been made possible only through cost-saving layoffs. U.S.-based energy firms announced 60,500 job cuts in the first six months of 2015, compared with fewer than 4,000 in the same period last year, according to job placement firm Challenger, Gray & Christmas." "The energy industry cut 20,193 jobs last month, says outplacement firm Challenger, Gray & Christmas Inc. Some 18% of North American oil and gas companies plan to freeze or cut pay in the near future, and 32% of them plan to ease up on efforts to poach talent from rivals, according to a recent survey by consulting firm Mercer LLC."